Mags Jarvis of Okehampton Running Club ran the Bournemouth Half Marathon with her daughter, Lizzie, who hatched the plan to run the race to raise funds for Parkinson’s UK. This charity is close to Lizzie’s heart as Mags has Parkinson’s Disease. To date they have raised over £I400. Their race went well in bright conditions with the route being mainly beside the seafront finishing near Boscombe pier. Mags and Lizzie ran faster than they expected completing in 2:08:02. This was a first half marathon for Lizzie and Mags’ 5th but the last one she did was in 1984! Three more from ORC ran the Full Marathon on the same day. Stuart May was also running for charity, the Exeter Leukaemia Fund, in memory of his partner’s mother. In hot conditions Stuart ran his best marathon to date in a PB time of 3.29.48. Katie Littlejohns and Anne Binns ran well despite struggling with the heat Katie posting a time of 4.07.29 and Anne 4.11.15. 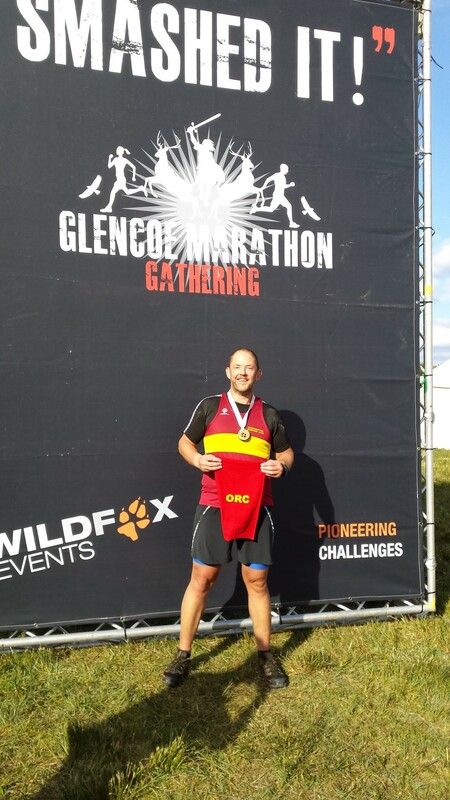 Meanwhile Charlotte Radnor was in Wales for the Cardiff Half Marathon which she finished in 1.48.36 and Club Chairman, Tim Watson, was in Scotland completing the final piece of his “triathlon” – the Glencoe Marathon. Tim had completed a 190 mile cycle ride the weekend before in Wales and the 10k River Dart swim earlier in the month. He is raising money for Prostate Cancer, donations can be given at Okehampton Medical Centre. The previous weekend Marilyn Cooper ran the Berlin Marathon, one of the six World Majors. With a less than ideal preparation leading up to the race she was happy to complete in 4.57.40. The monthly Run in the Park organised together with OCRA again attracted a good field including many young children and families as well as more experienced runners. The next Run in the Park takes place on 1st November starting at 9.30am at the Pavillion. Error: Error validating access token: Session has expired on Saturday, 20-Apr-19 03:20:42 PDT. The current time is Monday, 22-Apr-19 11:49:18 PDT.